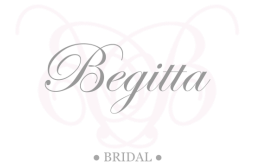 Paris Trained, Begitta, Creates Custom Couture Bridal & Red Carpet Gowns. The dreaming is only the beginning of the journey, picking your Bridal gown should be a romantic story filled with love and adoration. An adventure down the rabbit hole of silks, lace, beading and beautiful draping. To write the story of your dream gown where the design and fabrication is where your beautiful story will evolve. The Begitta Bride adores glamorous styling and dramatic silhouettes. Gowns that are classic with a rich, modern twist that creates something divine and utterly unique. Using signature hand-draping, hand-beading and lace applique Begitta creates gowns that are one-of-a-kind. I believe that it is an absolute honour to create a special piece for a exceptional occasion and ensure that each client’s experience is just as wonderful as it is unforgettable. Begitta’s craftsmanship, luxurious fabrics and that undeniable Haute Couture feel that will make any bride feel as though she has stepped into a dreamy yet ever so chic fairytale! Sourcing the most beautiful fabric from the worlds treasure chests with access to beautiful silks, specialty fabrics and embellishments, ensure the finest quality materials for your dream gown. With deluxe hand treatments as a feature and Couture finishing techniques as learned from the artisan couturiers in Paris.